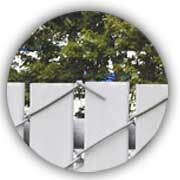 Privacy decorative fence slats can add privacy to your chain link fence, used as a wind screen, used as a sound barrier and help beautify chain link fences. 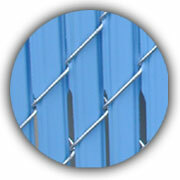 We try to carry every type of slat on the market. 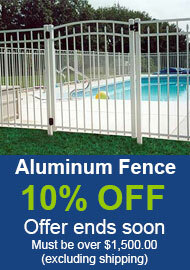 If you are looking for a slat we do not carry please call or e-mail us. 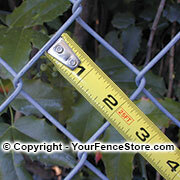 When comparing privacy fence slat prices on the Internet, please make sure shipping is included in the price. These slat colors are approximations only, please refer to actual color samples for final matching. I just received my Option Lock Privacy Fence Slats 2 days after ordering them and couldn't be happier! They were easy to install, look sturdy and blend very nice. Thank you again for a great investment. I ordered some slats a few years ago from a company on the Internet that was inexpensive. They faded and almost turned white within the first year. I guess you get what you pay for. Come to find out they were made overseas and the company wouldn't own up to their warranty. I'm glad I found your company and that your slats are made in the good ole USA. The slats from your company have been installed for a while now and are the exact same color as when I put them in the fence. Thanks! 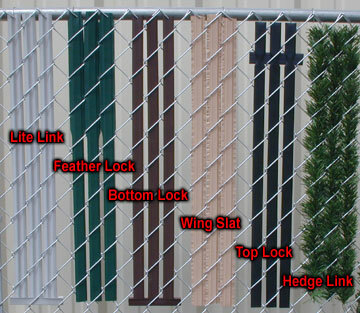 I just finished installing the Feather Lock fence slats in the fence in my back yard and they look great. They do a good job of blocking out the view of a rather ugly alley. My order arrived a less than a week after I placed it. 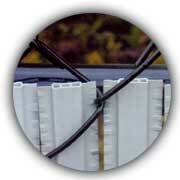 I purchased the white Ultimate Slats after reviewing the sample kit that you had available for purchase online. The sample kit was a great way to see the colors as well as the various styles and how they fit. We were very pleased with the fast delivery and quality of your slats. 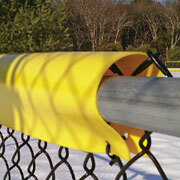 They are well made and look great when installed. We did a long section first to block out our neighbor. The slats were extremely easy to install and we trimmed a few on the ends where needed due to fence problems on the bottom. I just used a pruning clipper which was fast and easy. We did have a slight problem with one section going up a hill where the fence installer took a shortcut and didn't line up the fence correctly. The slats looked nice in that area but were slanted slightly. We plan on putting a pot and plant in front of this section. Overall I would give your company excellent marks for delivery, quality, customer service and selection. The price was very reasonable as well. By the way, I'm 73 years old. 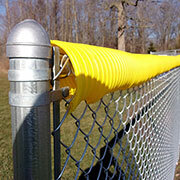 I am so pleased with the finished chain link fence. 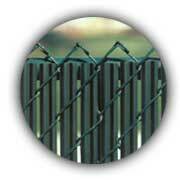 I installed 8 sections of Option Lock slats in gray on my 4 ft high green fence. Looks great and was very easy to install. My fence divides my property from the neighbors and we both get a great look from either side. 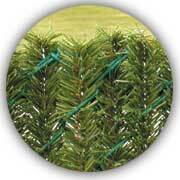 Great product, good price, prompt shipment, what more could I ask for. Highly recommend the product. 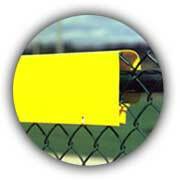 Well, I found some slats from another company, but their color was just a bit off so I sent them back. Also, I see what you mean about the quality. Your slats are definitely superior. I will reorder the white ones and wait. I also need more green privacy slats because I decided to continue in the front yard. Wow! You guys are fast! I ordered my Wing Slats on a Sunday, received them on Thursday and had them installed on Saturday. Thank you very much for the quick service. We have peace at last now that my dog and my neighbor’s dogs can no longer egg each other on. 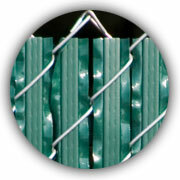 Last month I ordered feather lock slats for my chain link fence and they were exactly as described, they arrived in 4 days way faster than I anticipated, was an easy installation and over all a great experience. Want to thank all personal at your company for a great product. Satisfied customer. I just ordered five (5) more bags of the Privacy Wing Slats. Thank you for everything. 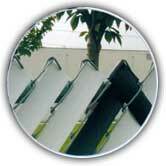 I love the Wing Slats, they go in easy, look great and WOW the privacy they add is great. 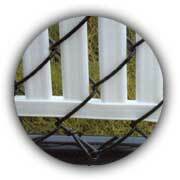 Other names for chain link fence slats: fence fillers, fence inserts, pvc slats, vertical slats, chain link privacy, and privacy fillers.